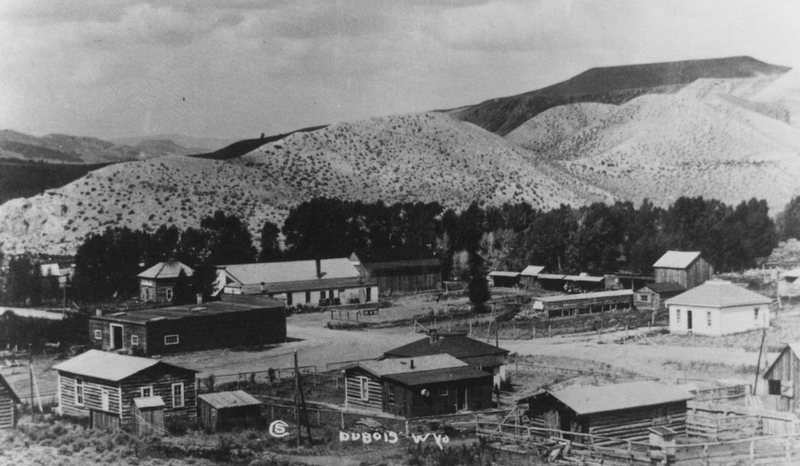 • the one real western town located in the crossroads of the original American West. Here migration routes of the early Native Americans forged the trails later followed by mountain men and explorers. Homesteaders and cowboys mingled here. Loggers hand-cut the ties for railroads that joined the nation. • one of the best real cowboy towns still around. Cowboys drive cattle here and compete in the Dubois rodeo. 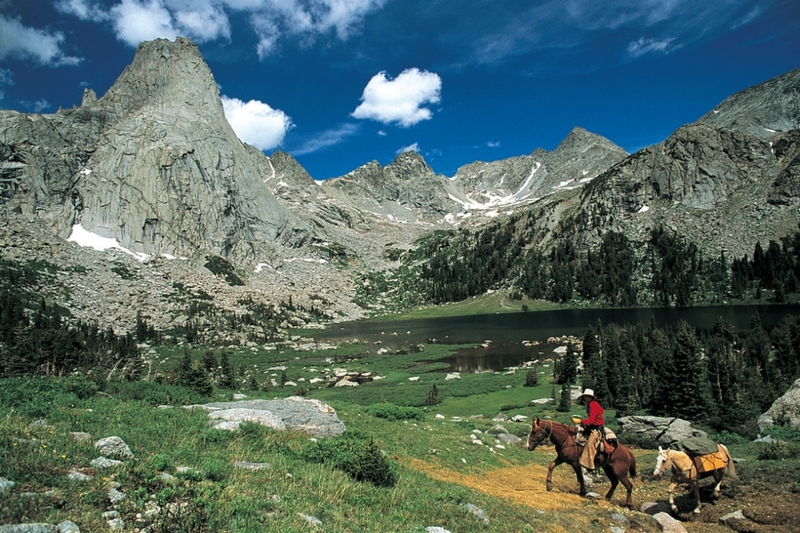 Or you can ride a horse yourself–all day from your Dubois dude ranch or all week on your horse packing trip. Off into the badlands or up into the pine-shaded mountains. Have a chuckwagon dinner. Join a square dance. • circled by wilderness, yet easy driving. 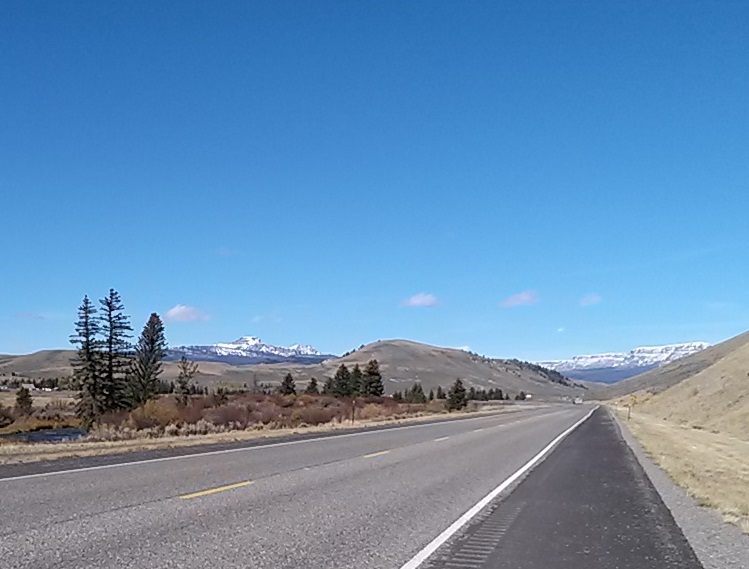 Off the beaten path, but an easy day trip to Yellowstone Park and back. Everything you need is here: a bed in a rustic inn or a cabin at a guest ranch, fine restaurants and coffee houses, a beautiful place to pitch your tent or park your big rig and relax by the river. • perhaps the only place on earth where you find all three kinds of mountains in one spot—rugged peaks driven up by underground collisions, blown out by volcanoes, or carved out by glaciers. • some of the best hiking, fishing, wildlife viewing, and horse-packing trips in the United States. Watch for antelope, deer, moose, and some of the most abundant bighorn sheep in the lower 48 states. • a wide variety of lodgings, from remote guest ranches to rustic guest cabins, from inns and motels to campgrounds and RV parks. • some of the best high-speed Internet service anywhere, with our new fiberoptic delivery and unlimited data usage. There’s free Wifi at many locations, including the Town Park.